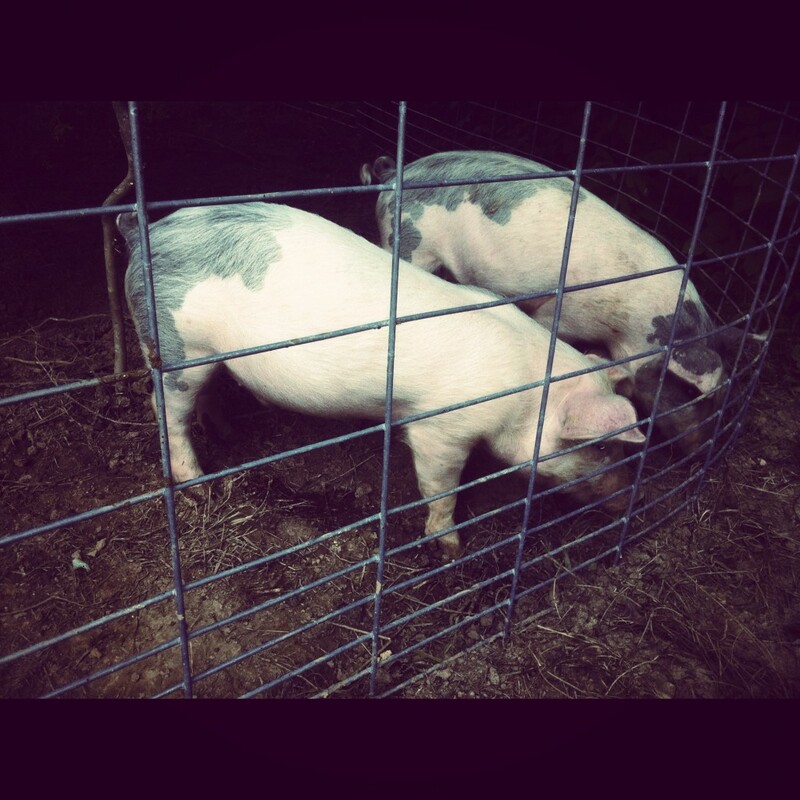 When I started researching information on raising a few growing-finishing pigs, one of the questions I had was how long do I keep them before it’s time to slaughter and butcher. I found that most people keep them until they are around 220-250 lbs. Past this weight it becomes inefficient economically to put on more weight. O.K. cool. Simple, I’ll just raise them until they are in that weight range. Not until we actually got the pigs did I actually think about how I’m going to weigh a pig. I don’t have a scale big enough for a pig. Luckily there is a simple method to approximate the weight of a pig using a string and a tape measure. To get an approximate weight (W) of your pig you need to take 2 measurements and plug the numbers into a formula. First take a measurement of the length (L) of the pig. Measure from the base of the tail to the head between the ears. 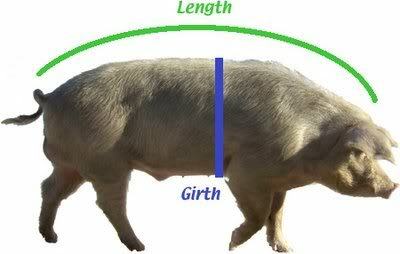 Then measure the girth (G) by taking a measurement around the pig just behind the front legs. If you don’t have one of those cloth measuring tapes, you can use a string and then just measure the string length in inches (in). I’m not sure if these weights are on target but they seem to be very happy and healthy pigs.